Telegram is a cloud-based mobile and desktop messaging app with a focus on security and speed. 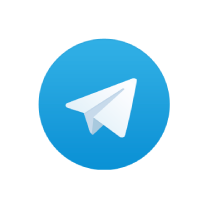 With Telegram, you can send messages, photos, videos and files of any type (doc, zip, mp3, etc), as well as create groups for up to 5000 people or channels for broadcasting to unlimited audiences. You can write to your phone contacts and find people by their usernames. As a result, Telegram is like SMS and email combined — and can take care of all your personal or business messaging needs. Cloud storage - It stores the data on the cloud , you will never lose the data that you shared , and you can access the same from more than one device . At this moment integrating Telegram with your EasyStore, you can get notification through Telegram when an order is placed and a new customer has signed up. More features will be added for this integration and function will be enhanced over time, stay tune.